Prof. Vural graduated from the Anadolu University, Faculty of Communications, in 1987. His MA he received from Loughborough University of Technology and his PhD he completed at Anadolu University, Institute of Social Sciences. He became an Associate Professor in 1997, Assistant Professor in 2002 and Professor in 2007. Currently he works as a faculty member of Istanbul University, Faculty of Communications. In 1987, he got 1st place in Investigation/Analysis at the Young Journalist Competition of Hurriyet Newspaper, and 2nd place in Newspaper Page Design. At the 1992 Milliyet Journalism Competition, he was awarded as Journalist of The Year, for his joint research “Technology & the Human”. Vural has published 5 books, 3 intraorganizational compilations, edited 4 books and written 7 chapters in four different editions. He has supervised 10 masters and 4 PhD thesis studies. Currently he has been supervising 2 masters and a PhDs. He has 37 published sceintific articles, 20 papers presented in national and international congresses, and more than 50 conferences and seminars on Perception & Communication Management, Media, Journalism, Ethics & Communication. Prof. Vural has 884 analysis articles published in daily newspaper journals and 81 TV programs prepared and presented by him. Major courses he teaches are: “Communication & Perception Management”, “Communicating Efficiently”, “Journalism and News”, “Human Rights & Media” and “Research Techniques For Social Sciences”. 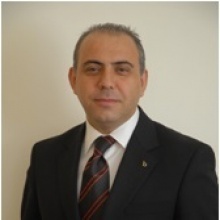 In addition, he provides consultancy on Strategic Communication & Reputation Management, Political Communication, and Crises Communication & Management for national and international companies, municipalities and organisations in Turkey.